Get the better of both worlds, with the mix of two delicious sauces in one dish. Clean, wash, and microwave the spinach in a bowl for 30 seconds until it’s well cooked. Cool and blend it in a mixer. Put oil in a microwavable bowl and put it on high for about 15 seconds. Add the onions, green chilies, and ginger, and microwave for about a minute, stirring every 30 seconds. Add the flour and microwave for 15 seconds. Now add the spinach puree, salt, and microwave on high for a minute. Put the vegetables in a shallow dish, dribble around 6 tbsp of water on it and microwave for 3 minutes. 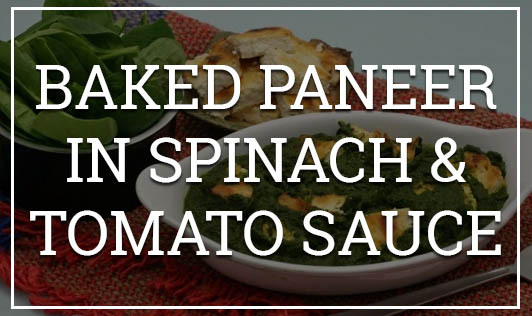 Add the vegetables and paneer to the spinach puree, season with salt, and spread in a shallow dish. Pour the tomato ketchup over it and garnish with grated paneer.